Alicia creates experiences the traveler would not have known were possible by booking themselves. Working for Departure Lounge, a travel agency in Austin TX, and traveling the world is Alicia’s greatest passion, and she’s driven by adventure and inspiring others to see the world. She wants to inspire others to embark on travels that will enrich their lives and facilitate the journey by eliminating the often confusing and anxiety-producing planning. Alicia has extensively explored Australia and New Zealand and is passionate about sharing her travel knowledge with other to create the best experience possible. Some recent favorite travel experiences have been lounging on the beach in Byron Bay, Australia, shucking oysters in Tasmania, drinking sake under the cherry blossom trees in Kyoto, Japan, getting lost in the mountains on motorbike in Northern Thailand, experiencing New Zealand’s luxury lodges, and visiting Fiordland National Park on the South Island of New Zealand by air and sea. 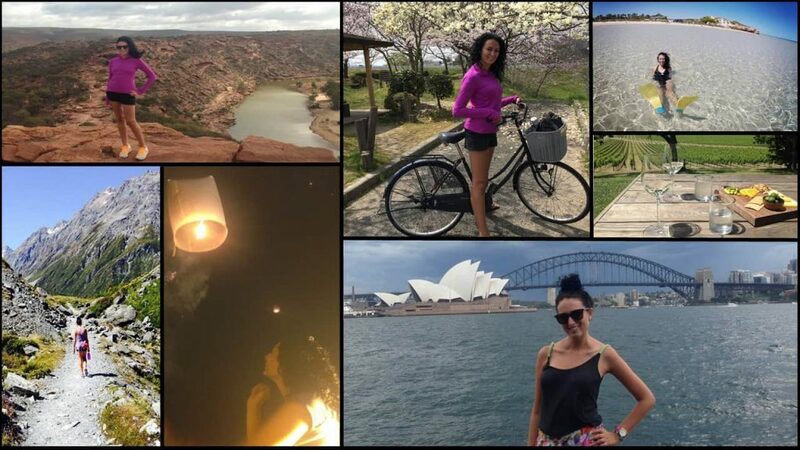 The many months spent traveling Australia & New Zealand. Anything that involves a beach, amazing food, wine tasting, and adventure. It was great working with Alicia to plan my trip to Seattle. I wanted to find the best way to experience the city and the countryside. Alicia was able to help my find the perfect place to stay so that I could walk to interesting places and enjoy the local food. She was very helpful in suggesting the best tours and finding availability. We decided on a tour of the Olympic National Park and I was completely satisfied. I was able to enjoy all of the mountain views, a mountain lake, a forest waterfall and see the green old growth forest for the first time. I was very satisfied with my trip and we are already in the process of planning the next. I rediscovered my love for Austin travel agents – I have never had as great of a service experience as with Alicia Saba…Alicia did not only point out some of the most beautiful and hidden places in New Zealand and adjusted [and re-adjusted] all travel plans to time and budget, but was also the most patient, understanding and accommodating service professional I have ever experienced. Alicia is FANTASTIC! She planned our entire honeymoon from start to finish. She was organized and very quick to respond. She gave us all the information we needed for traveling and some good tips and tricks.